Brrrr, baby! Most of the country is bearing up, and not all that well, under the coldest weather snap that we have seen in years! Long-haired cats are declining to go outside. Rumor has it that Hawaiian Airlines tickets to Maui are being bought up by polar bears. It’s cold outside. Those aren’t just song lyrics. They’re the evening news weather forecast. This is a time of year when gardening sounds less appealing than preparing a tax return. However, there are gardening tasks in need of completion, even in January. While you put on the third layer of underwear in preparation for going outside, take heart! 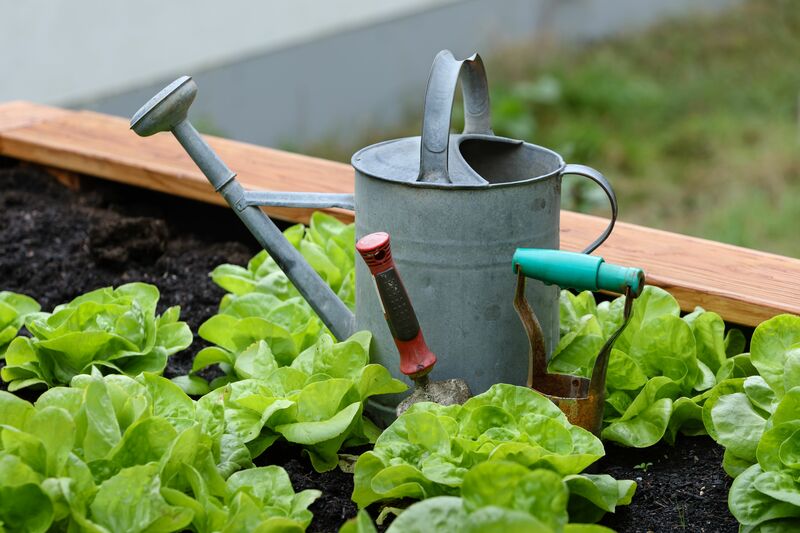 Your spring and summer success is almost assured if you do your January gardening tasks. Now, doesn’t that make you feel better? Here’s your list, courtesy of Gildshire, by hardiness region. Get your catalogs orders ready. Look! This is one that is doable inside! Getting the order sheet in place may well mean paring it down a little. We all tend to over-order our available room. Check your stored bulbs and veggies: Alas, some of them succumbed to rot. R.I.P. jicama and Jerusalem artichokes. Break up the ice in the bird feeder: The returners will be here before you know it. However, the year-round avian population appreciates this gesture, as well. Don’t laugh at Braggadocio. They have a cash crop! COLD CLIMATES: US HARDINESS ZONE 7 AND BELOW. The cold days of winter are far from over in California’s Sierra Nevada’s, Cheyenne, Wyoming, or Braggadocio (love that name for a town), Missouri. January is the time for winter sowing to get a head start on both vegetables and flowers that need stratification. Also, these zones are ripe for starting seeds indoors of slow-growing cool season vegetables like cauliflower and leeks. TEMPERATE CLIMATES, ZONES 8-9. We’re still far from spring, but the cities of Eugene, Oregon, Las Cruces, New Mexico, and Wilmington, North Carolina can almost see light at the end of winter. Gardeners in these regions should check their mulch and add more as necessary, for weed suppression. Be sure to protect tender plants with some type of row cover. Remember, cold nights are still predicted and will be for another month and a half. This is also the month to plant bare-root roses and fruit trees in this region. Cold climate gardeners are admirable for what they go through. Zone 8-9 is the beginning of joyful cultivation. January gardening tasks in West Palm aren’t an awful thing. WARM CLIMATE, ZONE TEN. Gardeners in the Greater Los Angeles area who have a plot of ground on which to plant consider themselves lucky indeed. They join gardeners in Yuma, Arizona and West Palm Beach, Florida as they prepare in January what will be a lush garden come spring. This is the month to plant trees, perennials, bare-root roses and cool season vegetables. Think peas, lettuce, asparagus, and rhubarb. January is also the time of year to start pruning roses in these warm-weather cities. Zone Ten is one of nature’s truly arable environments, so taking advantage is paramount. TROPICAL CLIMATE, ZONE 11. A relatively few Americans live in Zone 11, but those who do have tans and lovely gardens in perpetuity. The Florida Keys are Zone 11. So too is the area within the confines of San Diego (as long as you are away from the water. Too close to the beach, and you’re in Zone Ten.) So, what do gardeners in the tropics do in January? Plenty, as it turns out. They should plant hardy annual larkspur, bachelor’s button, and poppies. They should prune fruit trees if they didn’t do it in December. Finally, they should check their indoor plants for mites and mealy bugs. That’s your January to-do list of gardening tasks, Mr. Green Jeans. You know you want to work off some of that December eggnog. What’s that you say? You ate a whole box of cherry cordials and didn’t even tell the rest of the family? Get outside! You should be ashamed of yourself!